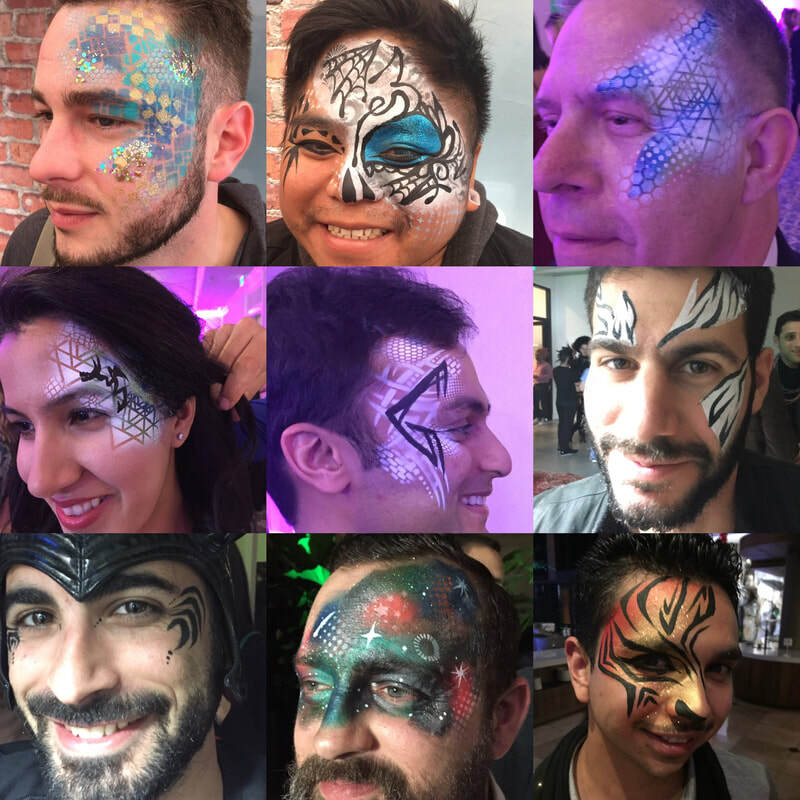 Make up your mind have the perfect face painters for your event! Our professional artists have years of experience working with kids, teens and adults. Make up your mind Pros Bring the party with the most high quality products and designs. You will leave your guests with a beautiful and unique face painting that will last all day and wash off easily. We have a huge menu of our most popular designs to choose from and have colorful and stylish designs appealing to all age groups. Give your guests something fun and different at your next private party or corporate event. Face painting and body art is the best way to get everyone excited ! 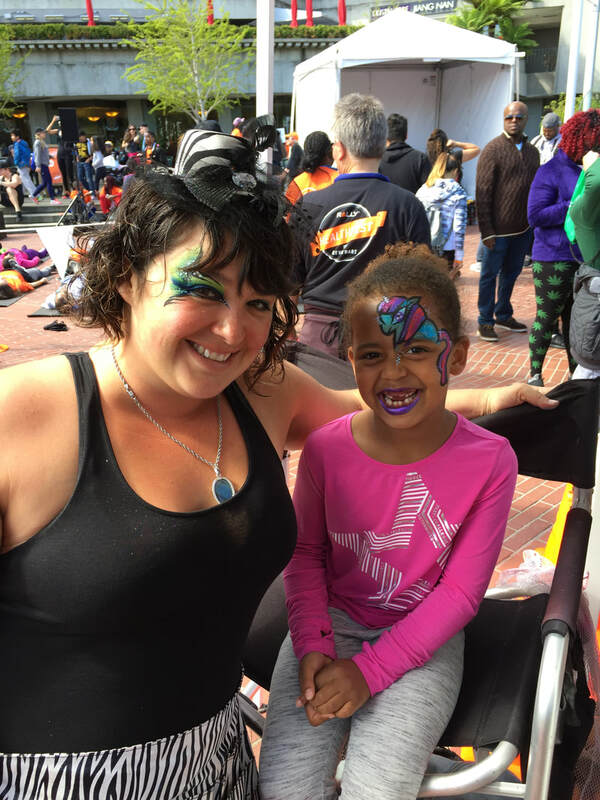 Airbrush Entertainment offers temporary airbrush tattoos for parties and events throughout the San francisco bay area. We spray on these very cool airbrush tattoo designs using airbrush body paint. We bring a professional airbrush work-station with a beautiful display of designs to choose from. 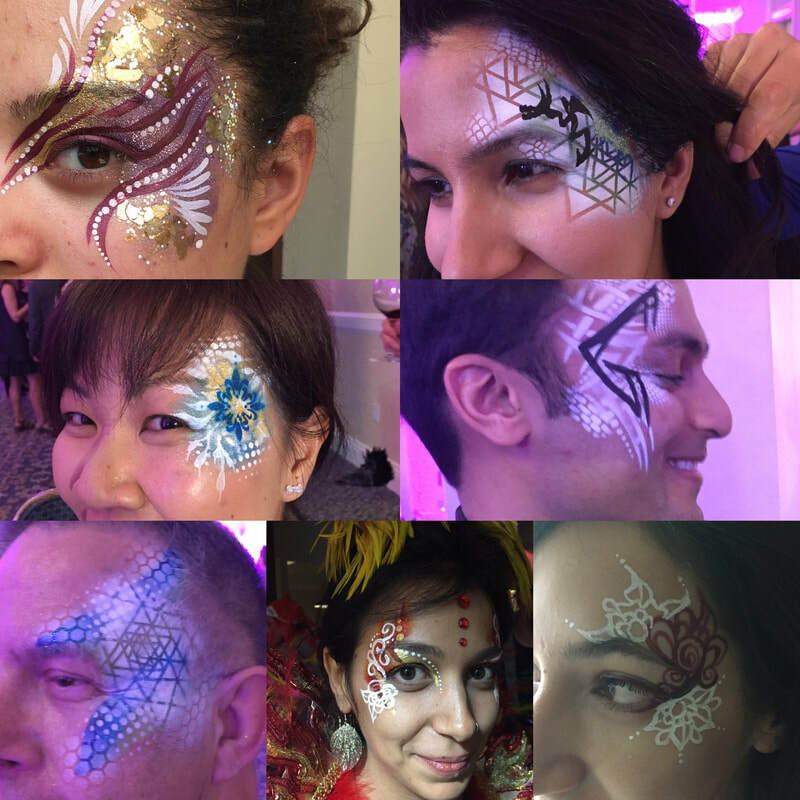 We are 3-4 times faster than a traditional face-painter with fabulous results. Our designs are clean, crisp and realistic looking. We can airbrsh approximately 35 tattoo designs per hour. This is a very popular activity for Corporate entertainment and all types of parties. We take up very little space and set-up time is quick. Add some glitter and glam to your next party that guests will be able to show off for days! Glitter tattoos will not wash off in water making them perfect for pool parties and picnics! A wide variety glitter colors to choose from or let us create more realistic tattoos that boys love! Our tattoos are created using cosmetic grade adhesives and glitters and will last up to 5 days. We complete 12 tattoos an hour. 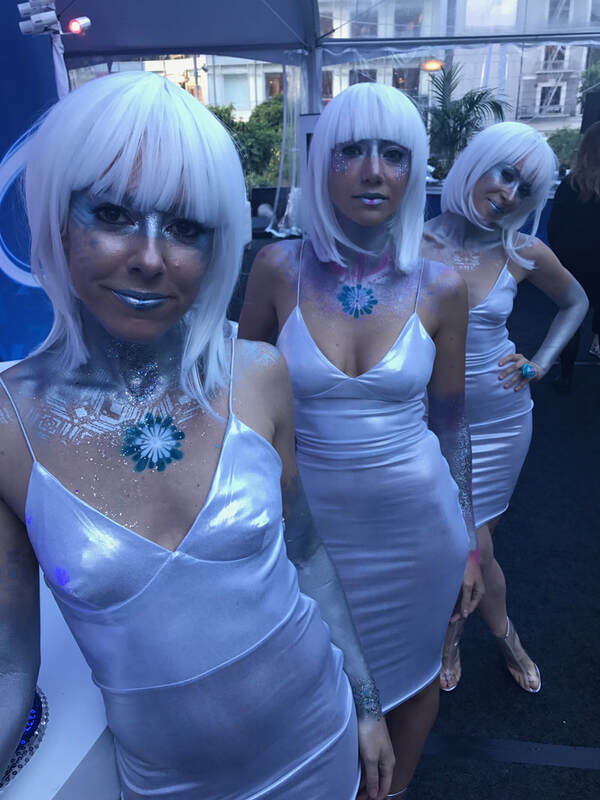 Have a special event that requires a little something extra, want to get ready for Halloween, have a performance and want to bring a extra wow factor , Body painting might be right for you. Promotional advertising, branding, special events, photo shoots, art shows, theme weddings, the possibilities are endless! DATES MUST BE VERIFIED FOR AVAILABILITY, please book early. $100+ Deposit required with completed contract after availability is verified.